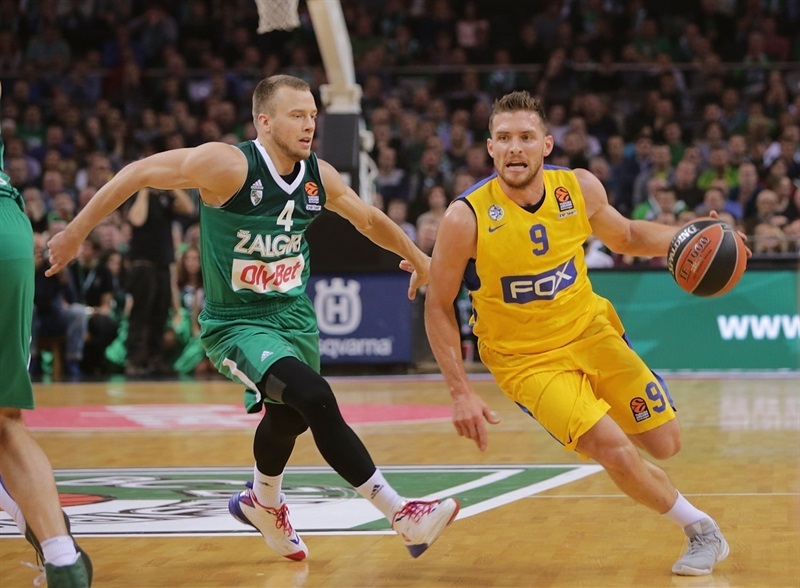 Maccabi FOX Tel Aviv won its second straight Turkish Airlines EuroLeague game since appointing Rami Hadar as head coach and the club’s 10th consecutive game against Zalgiris Kaunas with a 74-87 decision at Zalgirio Arena on Friday. Andrew Goudelock led five Maccabi scorers in double figures with 18 points in helping his team improve to 2-2 on the season. Devin Smith scored 17 points, Sonny Weems added 16, D.J. Seeley 11 and Colton Iverson 10. 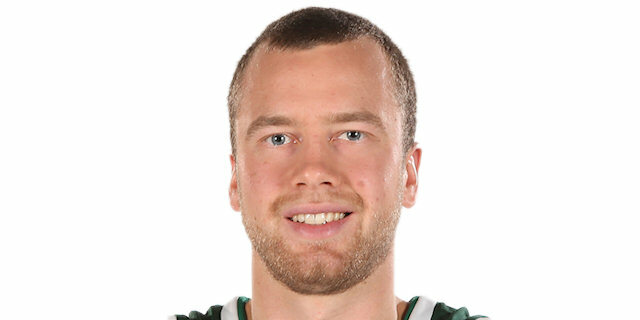 Lukas Lekavicius turned in a fine all-around effort for the Lithuanian champs with 16 points, 8 rebounds and 6 assists as his team fell to 1-3. 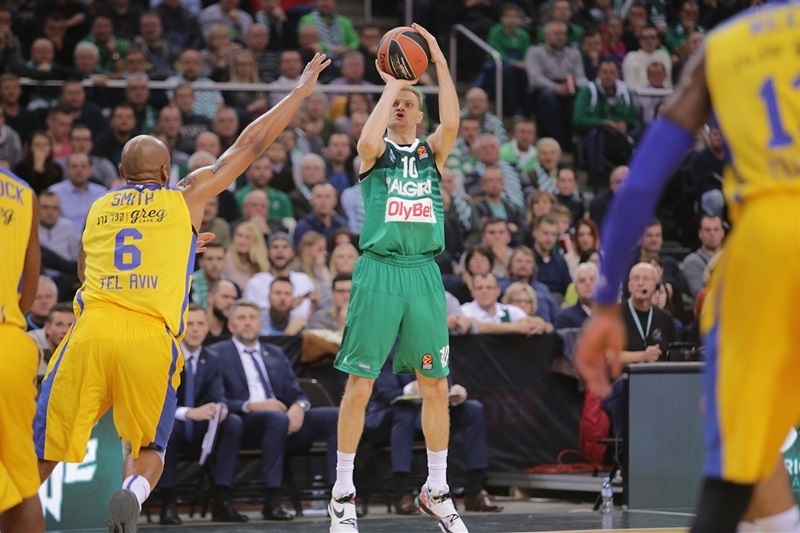 Zalgiris outrebounded Maccabi 35-24, including 17 offensive boards, but was unable to make up for a poor outside shooting night, which included making just 2 of 17 threes in the first half. 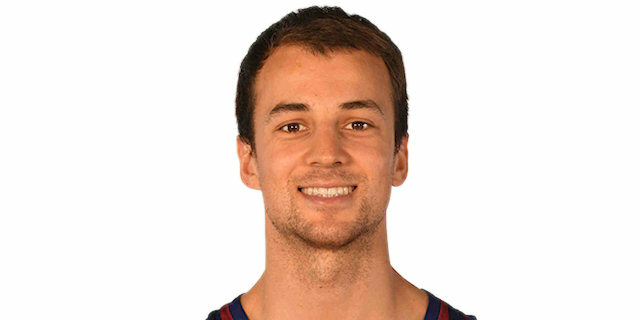 Kevin Pangos helped a Zalgiris revival with 3 threes in the second half before fouling out with 11 points. Leo Westermann added 9 points and 7 assists in defeat. 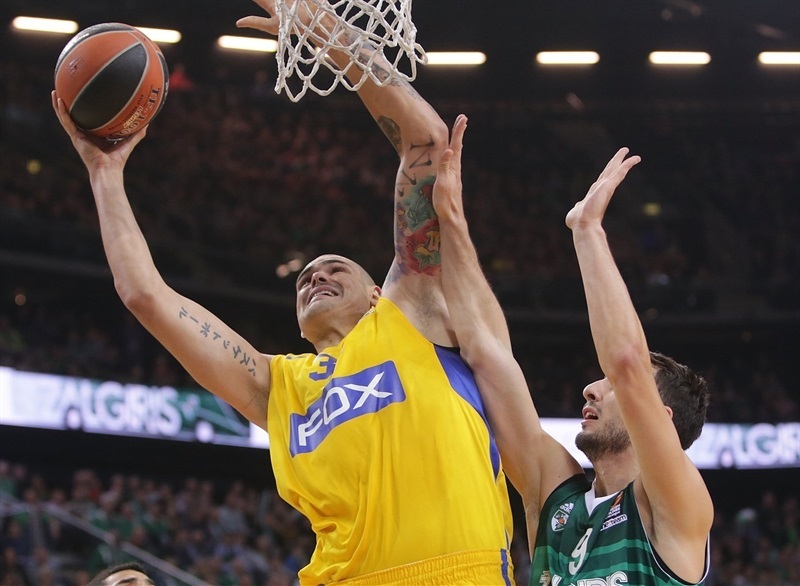 Maccabi opened an early 5-point lead with Weems and then Maik Zirbes causing trouble for the hosts. But with seven Zalgiris players scoring in the first quarter, the Lithuanian champs remained within 16-21 after 10 minutes. 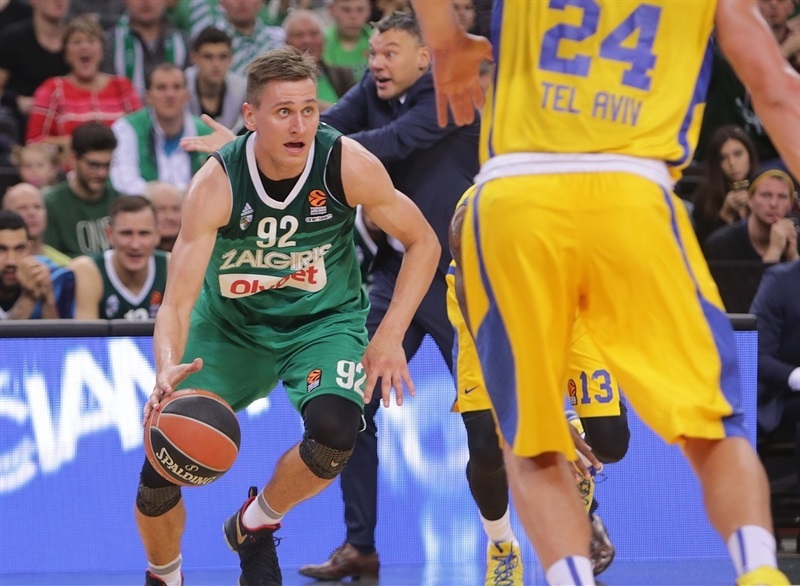 After Brock Motum drew Zalgiris within 1, Maccabi rode Iverson to a 24-32 advantage. Lekavicius ended a 0-for10 three-point shooting stretch for the hosts, but Smith connected from deep to give the visitors a double-digit lead en route to a 32-43 halftime advantage. 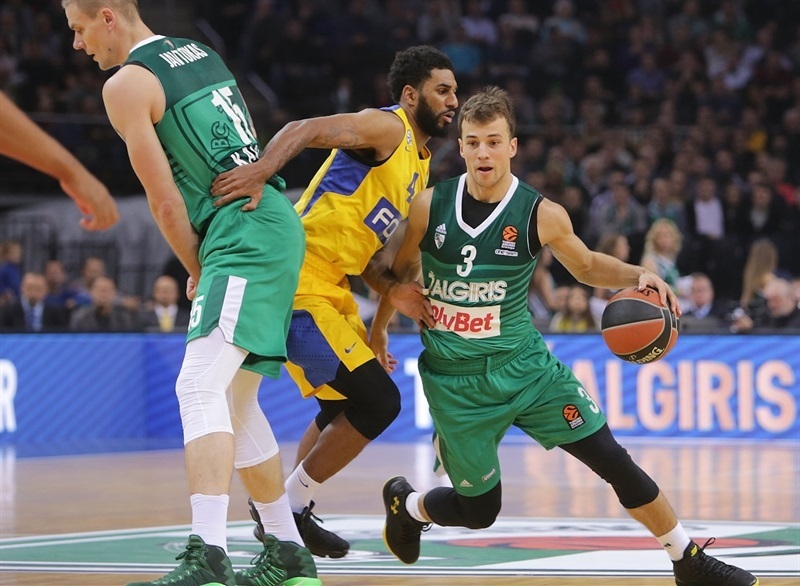 Down 14 in the third quarter, Lekavicius ignited an 8-0 Zalgiris run with a three-pointer and by drawing an offensive foul from Smith. Then Pangos knocked down a pair of threes to make it 53-57. 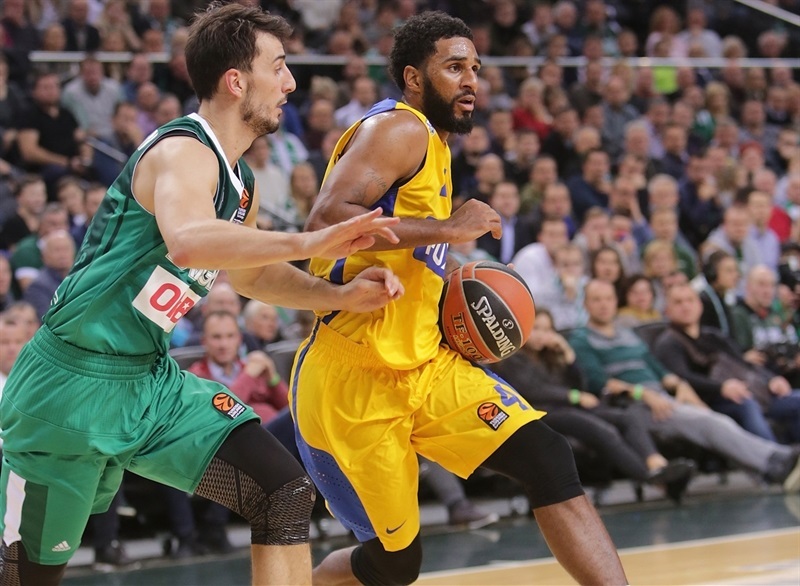 Seeley’s basket-plus-foul gave Maccabi a 57-64 edge through three quarters. 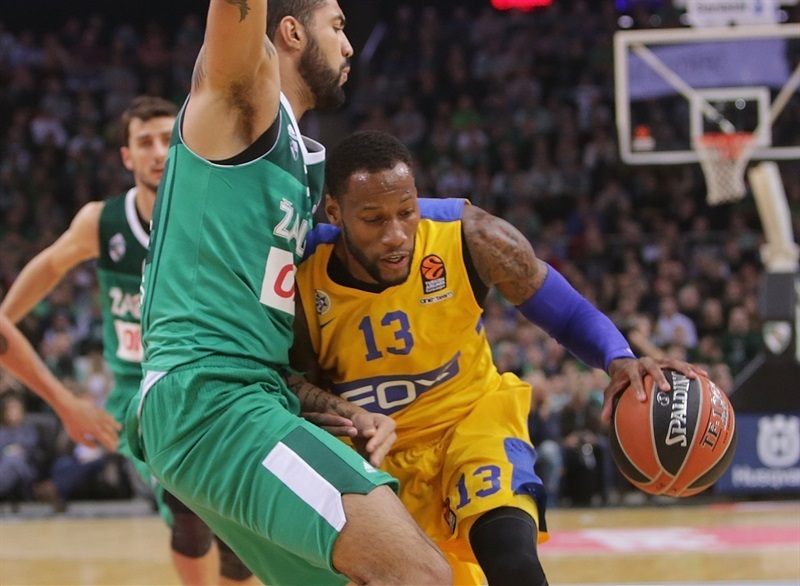 Goudelock took charge to start the fourth quarter, including 2 free throws off of technical fouls, as Maccabi built a 58-73 advantage and never looked back. "Congratulations to Maccabi. For sure they were the better team, more sharp, faster, better decisions and they made shots. Probably we made mistakes in our preparation from the game in Istanbul on Wednesday until tonight’s tip-off. I didn’t recognize my team, especially in the first half. 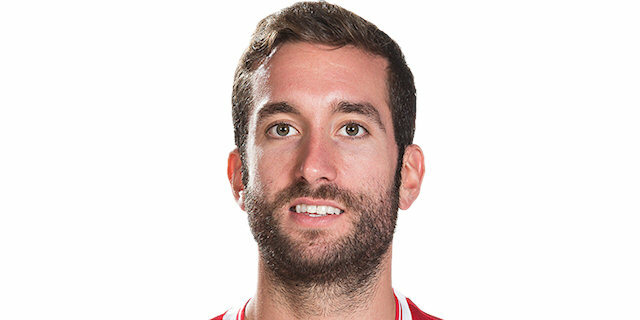 Maccabi was more physical than us, even if we expected that before the game." "I think defensively we stepped up compared to the game before and that was the key. We are still not so defensive; there is a long way to be there, but I think today we were more focused and executed better our system. " "We raised our intensity level on defense and that was the key. I salute our players for the effort. We were not perfect on defense, but showed improvement in our attitude. I'm happy that even when they made their comebacks, we kept it together. Loved the fact we were able to handle these 48 hours with two games and emotional stress the way we did. No time to rest, but at least we'll have video on the plane. I'm still not used to being the head coach of Maccabi Tel Aviv". 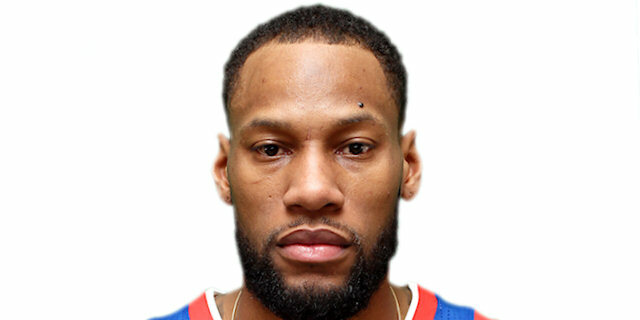 "Maccabi is a really good team, but they are not that good. So I think that we could have won this game, but they were more physical, they made some shots, their leaders played well, Sonny Weems. We should have done a better job on defense. We also missed some open shots, a lot of shots, but we lost because of defense. " "It was a tough loss for us. I don’t think we played like we are capable of. We just have to learn from it, get better and get ready for the next game. We want to mix it up, drive to the basket, post up, shoot threes, do everything. I guess we were a little aggressive from the three-point line, didn’t attack them, didn’t get to the foul line enough. And we weren’t making very many threes, so that didn’t help either. " "It's been fun to be back in Kaunas. Basketball atmosphere here is amazing. It was a strong game for us, we played team defense. 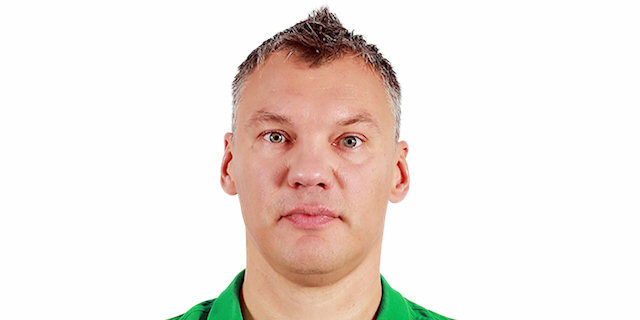 Zalgiris are a tough team that hits hard, going after offensive boards but also commit a lot of fouls. We did what we were supposed to and are going back to Tel Aviv with the win. I'm excited about our team, we're getting to know each other, this is only the beginning"
"We came here with a defensive effort. Their main focus to get on the offensive glass and we stopped that. We gotta dig deep as a team and we gotta want to play defense and tonight we wanted to play defense. " "We wanted to show we can defend, just for ourselves, to keep our honor. But they still grabbed 18 offensive rebounds. We hope to improve from game to game. We're good on offense, showing we can score 90 on average and have a lot of potential, but once we start sealing the paint, we'll be a completely different team."